An infection is the body's natural reaction to foreign substances or tissue damage (for instance trauma or muscle strain). The purpose of an infection is to repair damage to the body. The body dispatches white blood cells to the affected area to 'attack' any pathogens. An infection can be identified because the skin over the affected area turns red and feels warm to the touch. On top of that, infection is often accompanied by swelling and pain. Cavalor ® FreeBute Gel is an external gel packed with natural ingredients. It contains a unique mixture of 8 essential oils, among which Eucalyptus, Lavender, and Tea tree, which are known for their relaxing, cooling and soothing effect. 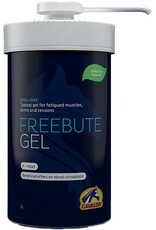 This makes Cavalor ® FreeBute Gel the ideal first aid treatment for overworked, sensitive or painful muscles and tendons. Cavalor ® FreeBute Gel is also ideal to treat bruises. When treating pain, it's not only important to treat the pain itself, but also to tackle the source. After applying, the gel will first have a pleasant cooling effect, after which it will start to feel warm. Thanks to the hydrogel, Cavalor ® FreeBute gel quickly penetrates the skin where it has a deep and powerful effect on the underlying tissues. 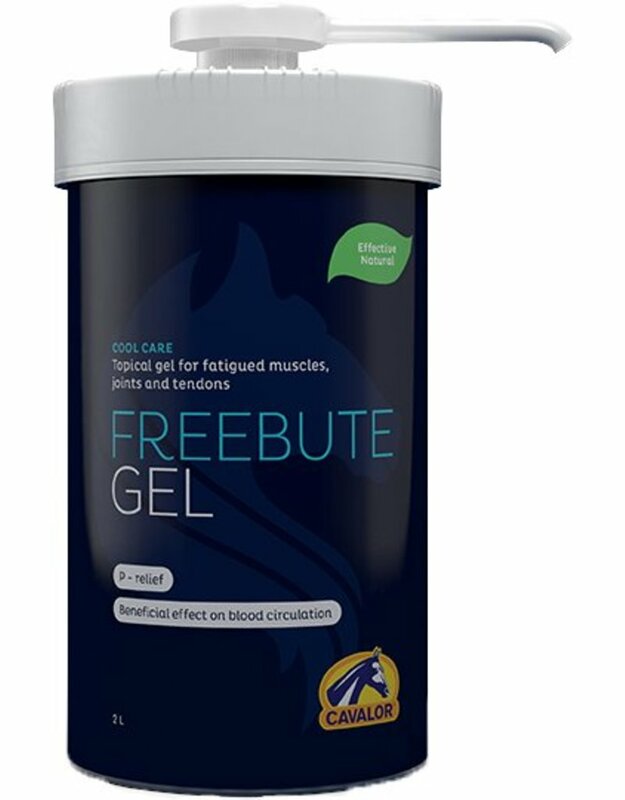 Because it has a positive influence on the blood flow, Cavalor ® FreeBute gel can be used to relax sensitive muscles prior to training, but will also help to faster rid the body of toxins after an intensive workout, thus preventing muscle stiffness. Cavalor ® FreeBute gel can also be used for bruises, injuries and swollen legs to reduce swelling and speed up recovery. On top of that, Cavalor ® FreeBute gel is an antiseptic, and can soothe pain caused by wounds.